Col. 2:9 For in Him the whole fullness of Deity (the Godhead) continues to dwell in bodily form [giving complete expression of the divine nature]. When you think about it there are three basic overall parts to a vehicle. There is the exterior, the interior, and the power train. What would you think of this? You go to a dealership looking to buy a new car and the salesman after talking to you for a few minutes to find out what you are looking for takes you out to the lot to look at the car. He shows you the exterior, then opens the door has you crawl into the driver seat and shows you the nice new interior, and then you ask to test-drive the car. The salesman says, “Well you can’t do that because we don’t have cars with a power train, only the exterior and interior”. I would be willing to bet you would be heading to your vehicle pretty quick to go and find another car lot. Why then does it seem that so many Christians are happy to attend a church where they get a great exterior, and great interior, but there is no power train? Yet they don’t even think about that being an issue. Jesus Christ who embodied the entire Godhead did not die to just give us a part of the package. He died so that you could in fact experience all three of the Godhead in your life. Churches are supposed to be introducing you to all three parts of the Godhead and how you are to relate to them. This week I want to talk about receiving all of the Godhead. Let’s start with Jesus Christ. When you talk about our relationship to Jesus the key part of that relationship is what Jesus revealed here in these verses and in the Great Commission to the church. We are to become disciples of Christ. That doesn’t happen just because we are born again. Becoming a disciple of Christ is the foundation in our relationship with Jesus. A disciple is one as Jesus states in scripture who lives by His Word, has Jesus as their first love, fulfills God’s will no matter what, is willing to forsake all for Christ, walks in the love of God, receives pruning from the Father, and fulfills their number one call to be with Jesus. These seven things are what scripture reveals a disciple of Christ is. To not become a disciple of His is to not fully accept what Jesus is offering us and what He desires for us in relationship to Him. This is why He commanded His disciples to go in to all the world and make disciples of all people. Scripture also reveals that a disciple is not above his teacher, but he who is perfectly trained will become like their teacher. That is why becoming a disciple of Christ is so important in our relationship to Him. Jesus needs us doing the work He did, which He tells us in John 14:12 we can do, if we believe in Him. To believe in Him means to fully entrust your entire life to another. So in receiving what Jesus offers as a part of the Godhead you will become one of His disciples. Heb. 11:5 By faith Enoch was taken away so that he did not see death, “and was not found, because God had taken him”; for before he was taken he had this testimony, that he pleased God. Heb. 11:6 But without faith it is impossible to please Him, for he who comes to God must believe that He is, and that He is a rewarder of those who diligently seek Him. When it comes to our relationship with the Father the primary part of that relationship is learning what it means to walk by faith and not by sight, for it is impossible to please Him without faith. We have a great example of this in the life of Enoch. Hebrews chapter 11 is often referred to as the hall of faith. We have listed there seven major keys to what God the Father calls faith. When you look at verses 5 and 6 you see that Enoch had the testimony that he pleased God, and as verse 6 states it is impossible to please God without faith. Let’s look at what the key was as to how Enoch got such a testimony in relationship to the Father. Gen. 5:24 And Enoch walked with God; and he was not, for God took him. Here we have the reason Enoch had a good testimony with God. Enoch walked with God. Where did Enoch learn about walking with God? Adam was still alive as Enoch grew up, and there must be little doubt that he had heard Adam talk about walking with God. This stirred a hunger in Enoch to walk with Him. The most important part of us receiving the Father as a part of the Godhead in our lives has to do with us walking with God. God the Father wants us to know Him as His son’s and daughter’s. This type of relationship comes from walking with Him. If you are going to walk with God as your Father you are going to do so because of your love for Him. You cannot walk in love with the world and the things of the world and walk with God. God calls walking with Him faith. If you are walking by faith and not by sight, then you are not focused on the things of this world, but instead you are focused on continually developing your walk with the Father because of the love that burns within your heart for Him. Heb. 12:7 Endure your discipline. God corrects you as a father corrects his children. All children are disciplined by their fathers. Heb. 12:8 If you aren’t disciplined like the other children, you aren’t part of the family. In developing your relationship of faith walking with God as your Father, one thing you don’t hear many churches teach on is the discipline that will come from the Father if you are going to walk as a son or daughter of His. Many churches emphasize the importance of a relationship with the Father and that is good, but they don’t often talk about Him correcting us. He does so through His Word, our conscience, the Holy Spirit, and leadership simply revealing things that need to change in our life for our benefit. If we don’t receive the Father’s discipline then we are not receiving all of the Godhead. Eph. 5:17 Therefore do not be unwise, but understand what the will of the Lord is. The third part of the Godhead is of course the Holy Spirit. Many have, as I illustrated earlier, gotten the exterior and the interior part of Christianity having relationship with the Father and the Son, but they have not received the power train. They have not gotten filled with the Holy Spirit, who is the power of God and just as much a part of the Godhead as the Father and the Son. Far too many churches just mention the Holy Spirit, but do nothing in teaching on nor helping their church to receive the power from on high as promised by our heavenly Father. Paul states here in Ephesians that we are to understand what the will of the Lord is, and a part that will is that we are to be filled with the Spirit. 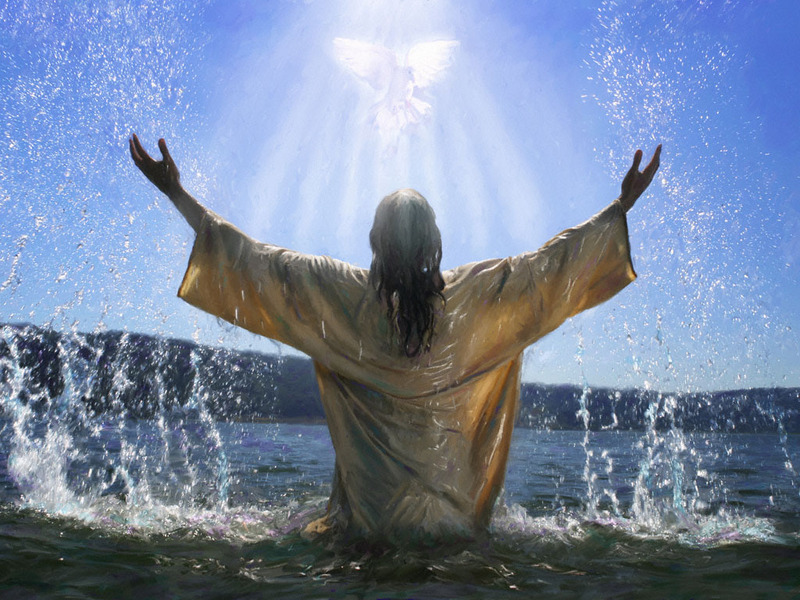 We are to be baptized in the Holy Spirit so that we can be His witnesses. Something my Pastor, Dr. Mark Barclay recently stated is a powerful truth about many churches in America today. If you kick out the gifts of the Spirit in your church, you kick out the Spirit of the gifts. I have said if you are not allowing the Holy Spirit to function through His gifts in your church and He is not welcome, then you have hindered the true teacher to bring revelation during the teaching of God’s Word, for Jesus said it is He (the Holy Spirit), who will teach you all things. Yet Christians will go to churches where they offer the exterior part of the vehicle, the interior part of the vehicle, but no power train and yet they are satisfied that this is enough. 2 Tim. 3:5 They will appear to have a godly life, but they will not let its power change them. Stay away from such people. Paul stated here to Timothy that in the last days you would have people who will have this appearance of godliness or what he called a “form” of godliness, but they will deny the power thereof. That power is the work of the Holy Spirit. Jesus commanded His disciples in Acts 1:8 to go to Jerusalem and wait until they receive the promise of the Father, which was not salvation, for He had already breathed on them and they had received the Holy Spirit (salvation). The promise was to receive power after the Holy Spirit came upon them, which they would then be empowered to be His witnesses. Why do Christians want the car without the power train? So receive all of the Godhead. That has always been God’s intention for us, and then continue to grow as a disciple of Christ, continue to develop your walk with the Father, and continually stay full of the Holy Spirit. If you are not in a Spirit-filled church that allows the gifts of the Spirit to manifest, you are lacking a vital part of the Godhead. Get all that God has for you! 1 Tim. 6:12 Fight the good fight of faith, lay hold on eternal life, to which you were also called and have confessed the good confession in the presence of many witnesses. One of the most key components in our walk of faith is our confession, what we are saying on a regular basis. When most people think of confession they only think of confessing sin, but scripture clearly reveals there is also a good confession. The Word of God has much to say about us having a good confession, and this is one area that Christians tend to be weak in. Our confession of what we say about our life and over our life is having an impact on us whether we realize it or not. This is a spiritual law that is in fact at work in our lives everyday. What we are saying about ourselves, and what we are speaking over ourselves is effecting what happens to us in many ways. Sure there are things in this life that no matter what we confess we are still going to face these storms, for Jesus referred to the fact that they come to everyone. But to not realize the importance of confession as a part of what impacts our life is to ignore the truth of God’s Word on the subject. Mark 11:23 For assuredly, I say to you, whoever says to this mountain, “Be removed and be cast into the sea,’ and does not doubt in his heart, but believes that those things he says will be done, he will have whatever he says. When you look at this verse of scripture don’t think that it just applies to speaking in line with God’s Word. Notice that Jesus said here what you believe in your heart and speak with your mouth will result in you having what you say. “Whatever” refers to anything you are speaking, not just speaking God’s Word. People who’s hearts are filled with a belief system that they will never have much, or they are always going to be sick, or they are always going to worry, etc., these things that have become beliefs in the heart when spoken are going to come to pass. But praise God the opposite is true as well. Some will ask, “Do you really mean to tell me that if I speak something it will happen?” No, not if you don’t believe what you are saying is true in your heart. But if you consistently keep speaking negatively all the time after a while you are going to develop a belief in your heart that this must be true of me. In doing so you will see this principle apply and bring those things to pass. As Jesus said here in Mark 11:23, you will have “whatever” you say. There are always those people who will be critical of such teachings about our confession, and yet scripture clearly indicates that our words are in fact bringing forth in our lives what we say and believe. There is much evidence in the scriptures of the power of our words. It is an area of our life that we need to watch consistently if we want to walk in the light of who God says we are. When people think you are making too much out of this confession business they need to look and see what God thinks about it. Here in Romans chapter four, which primarily talks about our father in the faith, Abraham, in this verse we get a reference and some insight of how important words are. It refers here to God, who not only gives life to the dead, but God Himself calls those things which do not exist as though they did. This for many seems a little odd to do, but it is exactly how our God operates. In the eyes of God everything He says you are as a child of God, you are. Everything God says you have as His child, you have. Everything God says you can do as one born of His Spirit, you can do. That is how God sees it. For us to see what He sees we must begin to first say what He says. Even if you don’t feel righteous, you are. Even if you don’t look healed, you are. Even if you don’t think you can do the works of Jesus, you can. But you must believe it is so. This begins through what you are saying. I believe the following quote was revealed by the Lord to Charles Capps. The Lord said, “My people are saying what they have, when they could have what they say.” If we continually say what we already have, then we are going to keep getting the same results. Remember Jesus said you will have whatever you say, of which you believe in your heart. But if you want to change what you have you must start saying what God says about you. You must begin to say who He said you are, what He said you can do, and what He said He has done for you! For us to have true change in our life we must first and foremost go to the Word of God, especially the epistles of the New Testament, for it is there that you will begin to find out who God made you to be, and find out what God said you can do, and what God said you already have. But it isn’t enough to just find such truths in the Bible. Without consistently confessing these things over your life you are not going to see your beliefs change. If you don’t correct what you are saying you are not going to correct what you believe about you. Remember when you speak in line with who the Word says you are, what the Word says you can do, and what the Word says you have, you are agreeing with God. Here in Romans we have Paul saying the same thing that Jesus said in Mark 11:23. One believes with their heart and with their mouth they confess what they believe and it brings about what they have confessed. The word “salvation” here is defined as, preserve, deliver, safety, rescue, and health. How do we experience these things in our life? We must believe, and we must confess to see such things come to pass. Notice the last part of this verse. Confession is made unto. In this context it is referring to salvation, but that word also means much more. If you want health, you must get your words in line with what God’s Word says about your health. If you want deliverance from something you are going to need a consistent confession, saying what the Word of God says. If you want to see your life transformed in becoming more like Jesus one of the key things you will have to do is to confess what the Word says you already are in Christ Jesus. This is one of the most important parts of making a good confession. Going through the New Testament epistles and finding every scripture that refers to who you are in Christ. Make note of these verses and then begin to confess them continually. Here we see in Job that one who declares a thing, that it will be established for you. Just another way of saying that what you say and believe in your heart it will be established in your life and come to pass. Notice it says that in doing this light will shine on your ways. Our words spoken are like a light shinning the path that our lives take. You can look at a lot of what you are walking in today and that was brought about by what you were saying in the past. Psa. 119:130 Your word is a doorway that lets in light, and it helps gullible people understand. Here in Psalms we find out that Gods’ Word when spoken is like opening a door that lets the light in. When you are consistently making a good confession over you and over your family in line with the Word, you are opening the door that brings in light. Where light comes darkness is pushed back. When we are walking in darkness it is because we are not allowing enough of the light of the Word of God into our lives by what we say. God’s Word also brings understanding. The opposite too understanding is confusion, which is something that satan loves to have manifesting in our lives. When you think about this verse realize the opposite is true. If we are speaking contrary to God’s Word, continually saying what the world says instead of what God says, we are opening the door for darkness to come. Not only are we allowing darkness but along with it confusion, which will cause a lack of understanding. This is another reason why making a good confession over your life and your family is so important. Even though you cannot change the will of another, you can have a better impact on their life saying what God says rather than agreeing with the world. Your words are important and have an impact on your life everyday. Every born again believer needs to be consistently making a good confession over their life each day. Start declaring who God said you are, what God said you have, and what God said you can do. This like a rudder on a ship will begin to direct your life into what God has for you! Gal. 5:7 You ran well. Who hindered you from obeying the truth? Gal. 5:8 This persuasion does not come from Him who calls you. Gal. 5:9 A little leaven leavens the whole lump. Have you ever had some bad advice before? Everyone at one time or another I’m sure has, but sometimes it can be very costly depending on what you are dealing with. Wrong advice is never good, but it is especially damaging when you actually think that what someone told you is true and you don’t realize that it is not. This is what we are warned about many times over in scripture, and especially in the last days. Here in Galatians the apostle Paul addresses this subject with the church in Galatia. After Paul had come and taught them the whole counsel of God, others came in after him and began to lead the people astray with improper doctrine. Notice what Paul states in verse 7, that it was a who that hindered them from obeying the truth. Three key things to mention here, first of all it is not a what that hinders us, it is a who. Listening to or being influenced by the wrong people. The second key thing to note here is that they were being hindered from “obeying the truth”. What these others were telling them was not in line with the truth, the Word of God. Because they were listening to these false teachings, this led them to not obeying the truth. There is much being said today that is in fact doing the same damage to people’s lives that as a result is leading them to not obey the truth. Paul states that anyone who is hindering you from obeying the truth, that such a persuasion is not from God. The third thing Paul pointed out here was that a little leaven leavens the whole lump. People don’t realize that if they start listening to heresy’s and false teachings, these will begin to effect what they believe in many areas of their walk with God. Don’t get seduced by the crowd who don’t want to talk about such teachings as these, which clearly the apostle Paul was warning the church about. Unfortunately there are those today who want to discard such things from our pulpits, but 2 Timothy 3:16 declares that all scripture, not some scripture, all scripture is inspired by God and is profitable for the believer. 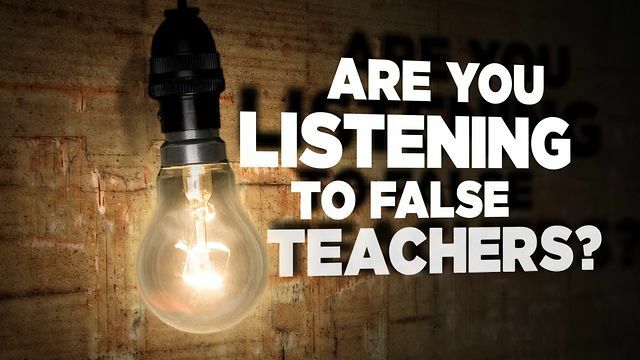 The problem with some of the modern day teachers is that they want to pick and choose what scriptures they like, and they often want to overlook scripture which is written to help us avoid the traps and snares that satan has waiting for those who are not “obeying the truth”. A very important point here about obeying the truth that seems to be overlooked or pushed aside today is the fact that no one who truly understands what Christ has done for us believes that we work “for” our salvation. There is no doubt that we receive this gift of salvation by grace, through faith. What seems to be left out though is the fact that once we are “born again” through the grace of Christ Jesus, we are to now work out our salvation with fear and trembling. These types of verses are all throughout the New Testament. Paul is clearly speaking to the beloved, those born again, that they have obeyed what he had taught them and they are to work out, not work for their salvation with fear and trembling. For it is God who works in you to fulfill His will and good pleasure. He does so as we obey His Word and work out our own salvation. We do spiritual work as believers, learning how to overcome sin, and fulfill the call of God on our lives because we are saved, not for our salvation. This is not a common nor popular subject today because most of the false teachings today are not a form of religion, but are more a form of humanism. Humanism focuses attention on the human being, and it places all of its value on the human itself. Yet scripture reveals quite the opposite. Our value is not to be based on who we are as humans, but instead who we are in Christ. This is one of the reasons why the body is becoming so weak. They are being taught that their value in life comes from who they are humanly speaking. This is why there is so much emphasis through these false teachings of looking to self. Heb. 12:2 Looking away [from all that will distract] to Jesus, Who is the Leader and the Source of our faith [giving the first incentive for our belief] and is also its Finisher [bringing it to maturity and perfection]. He, for the joy [of obtaining the prize] that was set before Him, endured the cross, despising and ignoring the shame, and is now seated at the right hand of the throne of God. We are not told in scripture, as humanism teaches, to look to self and find our value in self; but in fact we are to look away from all such distractions and look to Jesus with undivided attention as the source of who are faith is based on. Humanism will often then lead to secularism, which is what many churches have become today, secular churches. Such teachings are based more on the philosophy of the one teaching instead of the scriptures. They begin with scripture, but then begin to add their own philosophy with it. That is secularism. Such teaching leads to tickling people’s itching ears and what they want to hear. In doing so you begin to focus on what people want to hear, not what the Bible says. This is a result of ministers who actually fall prey to a form of covetousness, which can be a desire for something other than money. Often people only look at covetousness as wanting money or things. But to covet means to set your heart upon something that is forbidden. It is obvious we are not to set our hearts upon money or things, but what about the approval of others? 2 Pet. 2:3 By covetousness they will exploit you with deceptive words; for a long time their judgment has not been idle, and their destruction does not slumber. Take a look at these verses carefully for they are a warning to not allow the heresy or false teachings of the day to get into your life. Notice in verse one that Peter tells us there will be false prophets and teachers who will bring into the body of Christ destructive heresies. Why do we not hear ministers who are rock star level warning people about such things? Heresy is simply a belief not based on the Word that one propagates as truth. Heresy is destructive, not constructive. The problem is when people believe heresy they don’t even realize the damage that is being done. Notice Peter goes on in verse two and says that “MANY” will follow their destructive ways, because the truth of God’s Word is being blasphemed. This simply means they will show little regard for the truth of God’s Word. You see this all to often in today’s times. You show people what God’s Word says about something that is hurting their lives and they will either deny the truth, or they will tell you, “That is your belief but not mine.” It doesn’t matter what you believe, what matters is what the Word of God says, period. Such people if in a church that teaches the truth of God’s Word and does not put their own philosophy on it, will often leave because they want to feel like they are okay with God; so they will go and find a preacher who will agree with their lifestyle and tell them what they want to hear. Such heresies are again destructive. These false teachers we are told in verse three above will exploit people by covetousness. Simply put, people will continue to listen to them, and give to them because they tell them what they want to hear. The minister themselves will continue to do so because of covetousness. What are they coveting here? One of the things they covet is for people to “like them”. If you covet for people to like you as a minister you are going to tell the multitudes what they want to hear. If you don’t tell them what they want to hear, there are those who won’t like you. So if you covet, desire something forbidden, the approval of man, then you are going to continue to teach things that are not in line with scripture. Jesus said some pretty direct and difficult things that not everyone wanted to hear. For example in John chapter six He said they would have to eat His body and drink His blood if they wanted to abide in Him. It tells us that many of His disciples were not happy about this for it was a hard saying. Jesus said to them, “Does this offend you?” Then many of His disciples left Him and followed Him no more. Don’t fall for the modern day heresy and false teachers. Be willing to hear and receive all that the Word of God has for us. Doing so will help protect your life from destruction and you will not be hindered from obeying the truth. Here is an interesting question that when asked it is quite amazing the answers you will receive depending on who you ask; “What does it mean to be a Christian?” The most common answer I hear is that you must be born again. That is the first step to becoming what the Bible calls a Christian, but when you first get born again you are now a convert in Christ. The goal of Christianity is what Jesus declared in the great commission found in Matthew 28:19, to go and “MAKE DISCIPLES” of all people. Here in Matthew 16:24 as the Amplified points out, if anyone desires to be His disciple there is more to becoming one of His disciples than just being born again. Other translations read, “If anyone desires to come after Me…” To come after Jesus is the same as saying that you desire to be a Christian, or in other words a Christ follower. When you talk about what a Christian is according to scripture you find out that the Bible teaches us a Christian is one who walks in the footsteps of Jesus. That is what Jesus wants us to do, and He wants us to go and produce more Christ followers. But before we go into this any further lets first define what a Christ follower looks like. Jesus began painting a very good picture of this here in John 14:12. Notice what He starts off with here. “Most assuredly”, that is an absolute. He goes on to tell us that if we believe in Him, the works that He did we will do also. Stop and meditate on that for a minute. The word used here for “believes” means to put confidence in, to trust, and to rely upon. For those who put their confidence in Jesus and rely upon Him, the works Jesus did they will do also. What were the works Jesus did? You will find this answer not only in what we read about Jesus in the gospels, but it is also summarized in the Great Commission given to the church, His body. Jesus tells us in Mark’s account of the Great Commission that those who believe in Him will have signs that will follow their life. Those signs include casting out demons, speaking with new tongues, if they take up anything deadly it will not hurt them, and they will lay hands on the sick and the sick will recover. So if a follower of Christ is one who does the works He did, which would also include raising the dead, how many who are born again today can say that they actually have these signs following them? Most only think that being a Christian means I go to church, don’t judged anyone, do my best to live right, and I go to heaven. They are not seeing any of these signs following them. If these signs are not following them then according to Mark 16:17 they must not truly believe in Him. Read His words for yourself. The heart of what makes you a “Christ follower”, which again is what the heart of Christianity is all about, is in fact doing what Jesus did. Not to many years ago one of the Pastor’s of a large seeker friendly church admitted that with all their programs, and with the messages they preach, they in fact are not making Christ followers. It is not difficult to figure out why when you look at our foundation verse of Matthew 16:24. 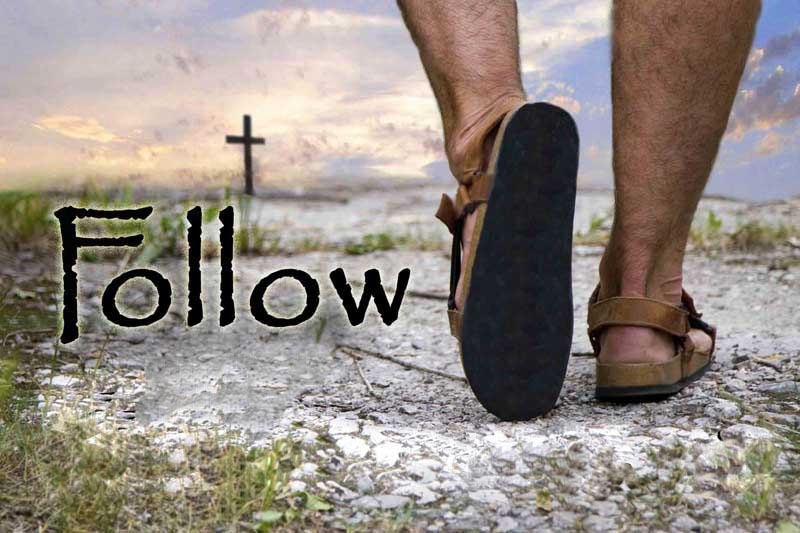 Jesus tells us what one must do to become a Christ follower, or in other words, one of His disciples. It begins with the words “If anyone desires to be My disciple…” for this is the one thing that no one can give you. A Christ follower will bear the same fruit that Jesus bore. They will see the works that Jesus did being done through them. That is what Jesus wants us to do while here on earth. Yet we find out that there are those who are born again, they have become a baby convert in Christ, but they don’t have the “desire” to be His disciple. Think about what it means to become a disciple of Christ. This means you want to look, sound, and act like Him. A disciple will in fact become like his teacher. This is the goal of a disciple, to become like their teacher. You must have a desire in your heart to become like Jesus if you want to be His disciple. Far too many who have become born again don’t really want to become like Jesus, for if they did they would not be satisfied with just going to church. They would want to see the works of Christ manifested through them. I can remember at the age of 13 when I got on the back of my first bull, I wanted to become a professional bull rider. I had plenty of people who had told me I would not make it. I even had some who tried to get me to quit, and yet I was determined to get my Professional Rodeo Cowboys Association card, and in 1985 that dream became a reality. I desired to accomplish this more than anything else in the world. That led me to seek out those who could disciple me and help me reach my goal. I was willing to do whatever it took to reach that goal. What if we had that kind of desire to become a disciple of Christ? What if we had that kind of determination, even when others think we have gone off the deep end, to persevere and press in even more to know Christ and the power of His resurrection? If you do not have a burning passion for Christ, and a burning desire to become like Him, doing the same works He did, you have missed the heart of Christianity. Once you have this desire you must get something more then watered down teaching from the seeker friendly pastor’s of the world. You will never grow beyond the one who is discipling you as Jesus said, you will become like them. If you are under a pastor who does not teach about these things, and has himself never experienced these things, how do you expect to do them? You must find someone who has and is doing the works Jesus did, and then you must be willing to deny yourself. Jesus did not get His will while here on earth. If He didn’t get His will, why should we get ours? To deny self you must be willing to give up what you think about life and what you want in life to chase after what God desires for you. You will never deny self if you do not have the desire to become like Him. This is where many miss it. They may try to deny self, but they fail because deep down they still desire to get things their way instead of God’s way. Take a look at every great man and women of God throughout history and you will find someone who gave up getting things their way. God’s ways are not our ways. God’s ways are only walked out by faith, and that is going to challenge how you think and what you see. But walking by faith is exactly how the just are to be living their life each and every day. Last but not least as Matthew 16:24 tells us we are to then take up our cross and follow Jesus. Taking up our cross does not mean to die to self, for that is what one does when they deny self. Years ago the Lord helped me to see what taking up our cross refers to. Jesus denied self in the Garden during those three hours of prayer. Going to the cross was the very reason He was born, and that represented Him fulfilling the Father’s will for His life. To take up our cross means we are to fulfill God’s will for our lives. This would clearly include whatever God has gifted us to do in this life, but it also includes doing the work Jesus did, for as we stated earlier that is why Jesus gave the church the Great Commission. God is wanting every born again believer to be doing the same works as His Son. He wants to use us in our place of work or business, in the market place where we buy things, and wherever we go. Jesus did not die for us to just attend church and never do what He did. My hope in writing this article is to inspire you to first and foremost make sure your desire is to follow in Jesus’ footsteps as one of His disciples. Secondly to realize that anyone who has that desire and learns to deny self, put their complete confidence in Jesus trusting in what He said, that they will see Him do these same works through them. The heart of Christianity is to follow in Jesus’ footsteps, seeing the same power and authority working through us to change the lives of others.